Services are customized for the individual needs and preferences of each client. Our approach is to work with the client to develop unique and inspiring landscapes. Our team of Dallas landscape designers, artisans, and horticulturists will work together to capture a cohesive design element that reflects the tastes and passions of the client. We want to create a landscape that captures the spirit of the client. We develop a stylized plan for each individual property, taking into account local and seasonal factors, and client satisfaction. 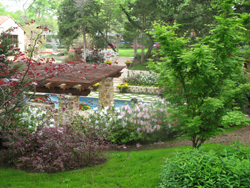 Texas Garden Services provides landscape service in Dallas, Texas. 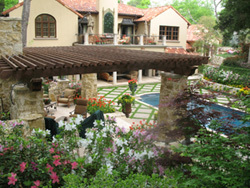 Texas Garden Services offes landscape design in Dallas, garden services in Dallas, Dallas landscape design, Dallas landscaping, Dallas yard maintenance, container plantings in Dallas, lawn service in Highland Park, lawn maintenance in Preston Hollow, garden service in North Dallas, or any yard service in Dallas, Texas.